This is a groundbreaking study of more than 40 drawings by Rembrandt and related works by his pupils. Rembrandt was the most famous painter of the Dutch Golden Age, and the opportunity to work in his studio attracted young artists for nearly four decades, until the master's death in 1669. 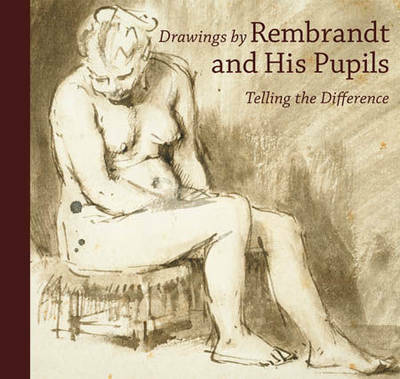 Lavishly illustrated throughout, "Drawings by Rembrandt" is a groundbreaking volume that explores the workings of Rembrandt's studio in the form of drawings made by the master himself and fifteen of his pupils. It examines the scholarship of recent decades that has brought new and more systematic criteria to bear on determining the authenticity of Rembrandt drawings, as well as defining the styles of his pupils and followers with unparalleled precision. Featuring over 200 colour illustrations of more than 40 works by Rembrandt and related works by his pupils, this is an essential book for anyone interested in the Dutch Golden Age and the life and career of its greatest single figure. Holm Bevers is curator of Netherlandish drawings at the Berlin Kupferstichkabinett. Lee Hendrix is senior curator in the Department of Drawings at the J. Paul Getty Museum. William W. Robinson is the Maida and George Abrams Curator of Drawings at the Fogg Art Museum, Harvard University. Peter Schatborn is Head Emeritus of the Rijksprentenkabinet at the Rijksmuseum, Amsterdam.